With its history rooted deep into ancient Greece, dishes from Antalya continues to use olives, a tradition dating back centuries. Having been home to countless civilizations since the Lycians, the city now has modern restaurants, hosting world stars. Antalya's kitchens are mostly uses products grown locally like, the citrus fruit, bananas, sesame, peanuts and soy. A local soup called, "arapaşı," stuffed laba (stuffed ribs), yörük kebab, tahini haricot bean salad, oven-baked pumpkin with syrup and saffron and rice dessert, are the most popular dishes. The tahini haricot bean salad in particular, is a great invention in its own right! Today, first, I want to talk about a restaurant in Antalya named, "Asmani," which means "belonging to the sky" in old Ottoman Turkish. Located on the top floor of the Akra Hotel, it literally dominates the sky. You can enjoy both the vast blue of the Mediterranean and the view of the Bey Mountains. Pablito restaurant's black-and-white tiles, antique bar, high ceilings and dim light offers a very unique Latin atmosphere and the interior is completely based on the Cuban concept. It is a place specializing in casual fine dining and showcases design consultancy by Tolga Atalay, dominated by the color blue. Every detail in the restaurant is like a complement to the sky. I especially loved the columns designed with holes. In the evening, lights from these columns provide a spectacular view. Another impressive detail is the turquoise bar, which is very inviting, with blue velvet bar chairs located in front. Perhaps most impressive are the torches on the terrace. Two giant torches in the middle of the ornamental pool create a wonderful ambiance at night. 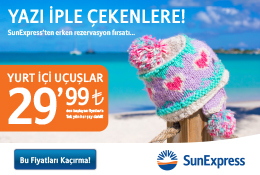 Thanks Antalya's warm climate, you can enjoy the terrace even in March. But, if you happen to attend the International Antalya Film Festival in October, you will meet world-famous movie stars on this terrace. DJ Suat Ateşdağlı has chosen the music at Asmani, which makes you a feel like as if you were in one of Miami's trendiest lounges. As regards the meals, world cuisine defines this restaurant. Fish and sushi varieties are quite assertive. The plates are "Whirpool" brand. I loved their designs. I was most attracted by flavors such as tarragon shrimp and mushroom pie. But I loved the foie gras most. The sweet and sour taste has a wonderful harmony. For dessert, medovik with honey was glorious in the Moscow style. Its sugar content does not disturb the stomach. Asmani's philosophy and motto is "from the field to the table." All products are organic and from Antalya villages. I congratulate Chef Sertaç Hastürk and his team for their sensitivity. 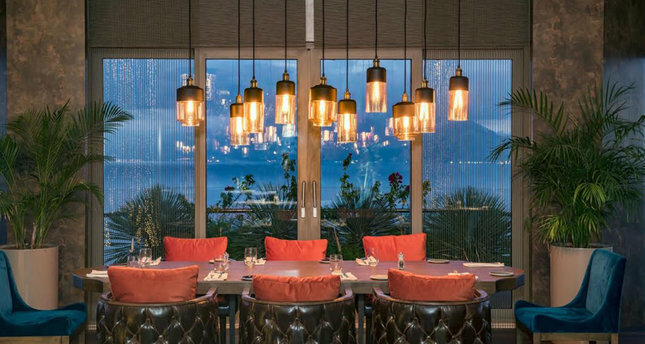 Another restaurant I would suggest in Antalya is Pablito. It is designed by Hakan Külahçı and its name Pablito means "Little Pablo" in Spanish, and rightly so, a Giant cactus plants, pebbles and warm colors at the entrance take you to Latin America. Although it does not rain much in Antalya, the grey metal umbrella holder in front of the door is a complete piece or art. Please, look carefully. I also loved the wall graffiti drawing of a little girl at the entrance. Inside, black-and-white tiles, an antique bar, high ceilings and dim light offers a very unique Latin atmosphere and the interior is completely based on the Cuban concept. 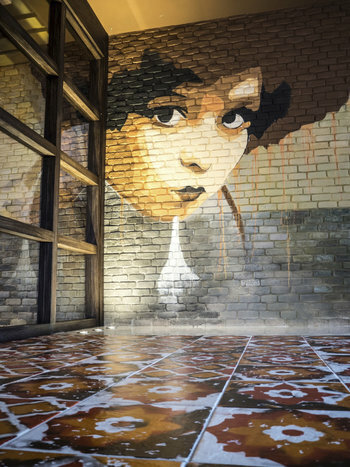 Its walls, covered with graffiti featuring Che Guevara and color photographs create a complete Cuban restaurant mood. Dark brown Chester seats, lampshades hanging from the ceiling, bookshelves and plants complete the ambiance where you can easily come with friends, dressed in a smart-casual outfit. About food at Pablito, I can say that there are quite a lot of options. Before starting your meal, you can try the Havana cocktails. The place also has a rich breakfast menu. The most interesting option among the snacks was the Cuban toast. I remember eating this kind of toast made with marinated salami and cheddar cheese during my visit to Havana. Fajitas are preferred for main courses. You can try these delicacies in the terrace that overlooks the sea and have a pleasant conversation with your friends. It is very authentic and dynamic at the same time, just like Cuba! I congratulate Pablito, for its wonderful atmosphere and tastes, but above all, I thank them for bringing Havana to Antalya.